Starting the year off with a BANG! Nutrishop Brandon has now released the long awaited Stance product called THERMONADE! Thermonade is here to make your weight loss experience turn explosive. Thermonade is a pre-cardiovascular workout drink that is thermogenic. It contains about 300mg of caffeine which will help give you the post work energy needed to get that cardio workout done. Additionally, it has CLA’s, coconut powder electolytes and much more to feed your body. This supplement is sure to take the lean and mean supplement market to the next level. Come in Nutrishop Brandon to get a sample of this new Stance supplement before your jog, run, biking or other cardiovascular challenge. We are proudly serving the Brandon area with the best in supplementation and weight loss products. Call and order this and other like products at 813-684-2380! 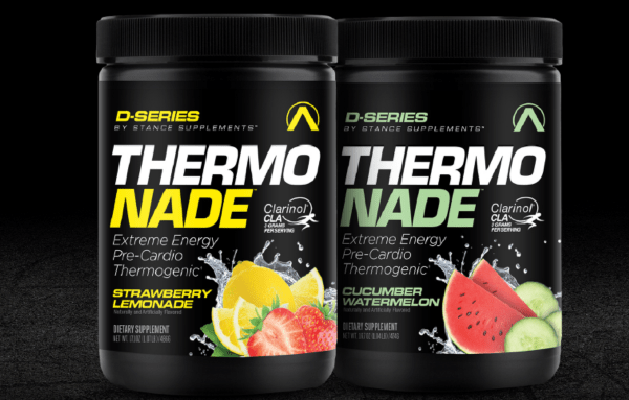 SEE what makes Thermonade a world-class product that exemplifies Nutrishop’s desire to release nothing but the best products on the market.